I would like to explain some changes that will take place in the month of July in the daily Mass schedule. Father Walter will be taking his vacation and will be gone the entire month of July. That being said it will only leave the parish with one priest, after much discussion and prayer, I have decided to not have the 7:00 am weekday Mass during July. We will only have the 9:00 am daily Mass. The weekend Masses will remain on the same schedule. This change will be effective July 1-July 31. The normal schedule resumes on August 1st. The Spanish 7:30 pm Mass on Wednesday nights will also be cancelled for the month of July. What Short Prayers Could I Pray When I Come to Pray Before the Blessed Sacrament in Eucharistic Adoration? When you come for a visit with Jesus in the Blessed Sacrament you could use the following two prayers at the beginning of your visit. The third prayer could be prayed before you leave. I adore you Jesus, true God, and true man, present in the holy Eucharist, kneeling before you and united in spirit with all the faithful on earth and all the saints in heaven. In gratitude for so great a blessing, I love you with all my heart, for you are worthy of all praise and adoration. Lord Jesus Christ, may I never offend you with my lack of love. May your Eucharistic presence refresh me in body and soul. Mary, Mother of the Eucharistic Lord, pray for me and obtain for me a greater love for Jesus. Amen. God our Father longs to increase our faith in His Son's Eucharistic Presence still here on earth. 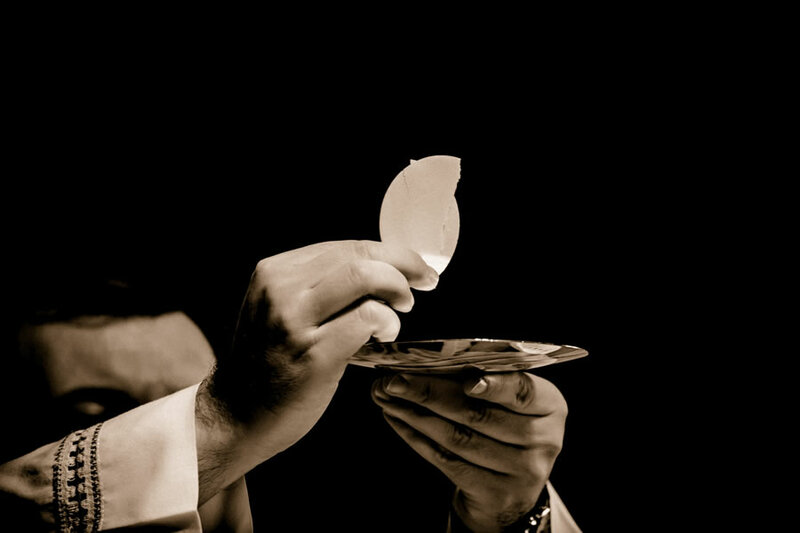 There are many miracles of the Eucharist in Church history. One such miracle took place in Lanciano, Italy. This town's history is closely related to the crucifixion of Jesus. In 700 A.D., a Basilian monk was facing a crisis in his vocation because he did not believe in the Real Presence of Jesus in the Eucharist. He continued to celebrate the Mass according to sacred tradition, but a profound doubt was growing within him especially at the moment of Consecration. He was filled with guilt as he raised the host and said the sacred prayers. He often prayed hard to be released from his doubt so his vocation could be saved. God our Father longs to increase our faith in His Son’s Eucharistic Presence still here on earth. There are many miracles of the Eucharist in Church history. One such miracle took place in Lanciano, Italy. This town’s history is closely related to the crucifixion of Jesus. My name is Alicia Worden and I was asked to share the journey that has led me to where I am now as a parishioner at St. Magdalen's, creating and renovating linens and tapestries for the church. At an early age, I found a love for art and pursued a BFA in Fashion Design at Syracuse University and continued my education at the Fashion Institute of Technology. I worked in New York City for eleven years in the fashion industry where I learned so much. After my husband and I had our two daughters, I started sewing costumes for a ballet school in Lambertville, NJ. I am now very busy as the Costume Designer and Wardrobe Supervisor for the same ballet school and its associated professional ballet company. The book of Genesis describes how God worked for six days, creating the heavens and the earth and how on the seventh day He rested. Likewise, Jesus spent His days ministering to the crowds, feeding the hungry, and healing the sick, yet He drew His strength by frequently taking time to be alone with His Father in prayer. Jesus teaches us that in order to be fruitful in ministry, in order to "be" for others we must first receive love and strength from God our Father in prayer. In Eucharistic Adoration we too can take time to be alone with God—to allow Him to fill us with His strength and His love. The love we give to others is only what we have first received from God. 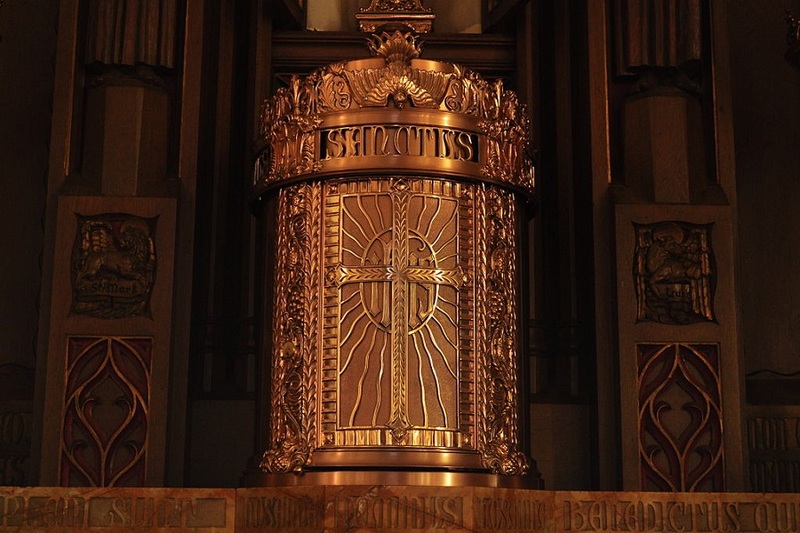 In Adoration we receive the grace necessary to be faithful and fruitful for the Kingdom of God. "The Memorare is a prayer that effectively expressed Mother Teresa's trust in the power of Mary's intercession as the mediatr ix of all graces," explained Father Brian Kolodiejchuk of the Missionaries of Charity, who was postulator for Mother Teresa's sainthood cause. "It flowed from the love and confidence she had in Mary and was a simple way to present her petitions to her." Mother Teresa saw it as an effective prayer because of her own experiences. 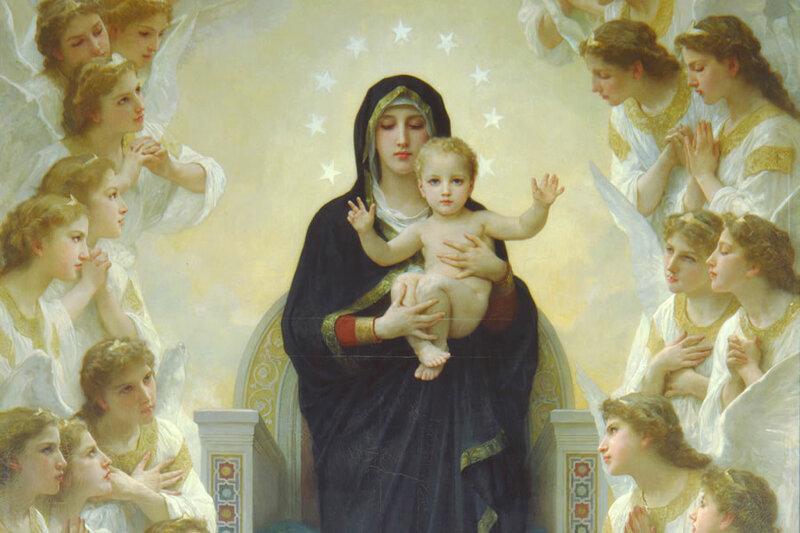 "On numerous occasions she prayed the Memorare for various needs," he said, "and the speedy response she received inspired her with ever greater confidence to have recourse to Mary with the words of the Memorare. "She often resorted to what's called her "Flying Novena." Father Kolodiejchuk explained, "It consisted of nine Memorares, which she would pray as the need arose or a difficulty presented itself. She definitely inspired the same devotion in her sisters, but also in others." Habits and routines form and shape our experiences and our lives. 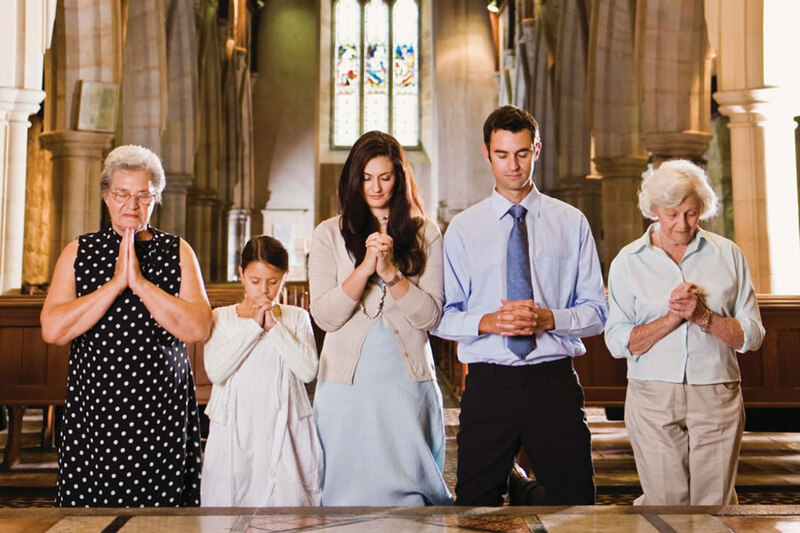 These habits will help you make going to Mass more than a habit. Going to Mass is the ultimate form of prayer and should be a spiritual encounter with Christ. I invite you to reconsider your Mass routines in order to more fully understand and appreciate the gift of the Mass. These practical tips will help us recognize Jesus at Mass, give God the sacrifice of our praise, and become what we receive in the Eucharist for our lives and for the life of the world. St. John Vianney once said, "If we really understood the Mass, we would die of joy." What Does Saint Faustina say about Eucharistic Adoration? Saint Faustina was born in Poland on August 25, 1905 and died in a convent of the Congregation of Sisters of Our Lady of Mercy in Krakow, Poland on October 5, 1938. She was a young religious with only three years of simple education. At the convent she performed the humblest tasks in the kitchen, garden, or as a porter in humble obedience to the will of God.